CP stands for Cellular Processor. 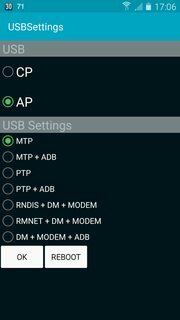 It’s also referred to as Baseband Modem. Another reference is Baseband Processor, or BP for short. AP stands for Application Processor. These are 2 of the 3 fundamental building blocks in mobile devices. The third being the Graphical Processor, or GP for short. The CP includes all the digital components required to communicate with a cellular network. The CP usually consists of an ARM-based processor and a DSP. It has its own operating system and communicates via a HS (High-Speed) serial connection with AP unit on which operating systems such as Android, iOS and Windows Phone are running. Previously, CP, AP and (GP) were found in separate, dedicated chips. However, there is a trend to combine all three components on a single System on a Chip (SoC) to save cost, reduce power consumption, and shrink the overall size of the circuit board.